Gotham is the place where it all began. We have long had Batman to enjoy, dating back generations. Now that Gotham has come, we eagerly anticipate each new season to see what combination of villains and superheroes will rule the screen. As the main character on Gotham, Bane understandably garners a great deal of attention. This is why viewers were kind of left in a lurch at the end of the fourth season. We just did not know who was going to show up as Bane when season five went into production. Now, we know. Shane West is the confirmed star of the show, and we love the choice. Here is why. Since we now know that Bane will be cast by Shane West, we also know that there is no more debating who Eduardo Dorrance will end up being. Many people assumed that he would just need to be King Snake. He was the father of the big brute in the comic book series, but it bears mentioning the comic had his name as Edmund in the first place. The producers of Gotham has obviously taken a bit of liberty in giving each of the villains on the show a full name to better complete the re-make that goes into each of their characters when adapting them for the television show. For the most part, even the costumes that the characters on Gotham wear have been inline with those in print form. This is quite something considering that the creators of the television series have taken certain liberties in tweaking the origins of certain characters and how they perform on TV. This can be seen in the performances of such characters as Mr. Freeze, Scarecrow, Solomon Grundy, Firefly, and Professor Pyg. However, when we look at Bane and the soon to be case Shane West, we notice something a bit different. The first look that we have received relating to Bane comes courtesy of the Twitter page from Gotham’s producer, Tze Chun. There we see the most feared adversary of the Caped Crusader in his full glory. It is quite something to behold, and it is sure to leave fans anticipating season five even more. Shane West really fits into the new costume well. The reports coming in are based on comments made on the Twitter page, and they are a bit mixed to be honest. Some people really love the new costume, while others want to see it go before the first episode even comes out. Perhaps everyone should just wait until the show actually begins before casting judgement. Shane West has some lofty shoes to fill. Remember that Bane first appeared way back in January if 1993 when he was in Batman: Vengeance of Bane #1. It was then the Gotham was first introduced to him as he became Batman’s adversary. He is one of the enemies that makes up the rogue gallery, and this makes him a central figure in Gotham. This is why the costume that Shane West will be wearing is such a big deal, as it differs so much from the ones that have appeared in the comic book stories through the years. As Shane West begins to get into his character, it is helpful to be reminded of where Bane originates from. He first came on the scene during Knight Fall. This is when King Snake escapes from Santa Prisca. The corrupt government of the day force Bane, his younger son, to serve out the life sentence that had been given to Edmund Dorrance. As such, Bane would end up spending his entire childhood in prison, and would stay there until he was a young adult. He might have been in prison, but he began to develop his superhuman powers while there. He read a lot of books and spent all of the time he had building up his body in the gym. This is why Bane became so fierce and a force to be reckoned with upon his release. Gotham has never been the same sense. 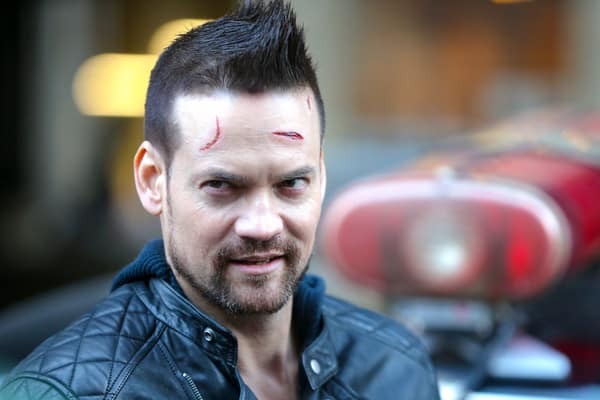 This is why we love Shane West being cast in the role. His body seems built for the role. We now have a Bane character that looks like the though and rumble character that is angry at the world for having spent so much time behind bars.